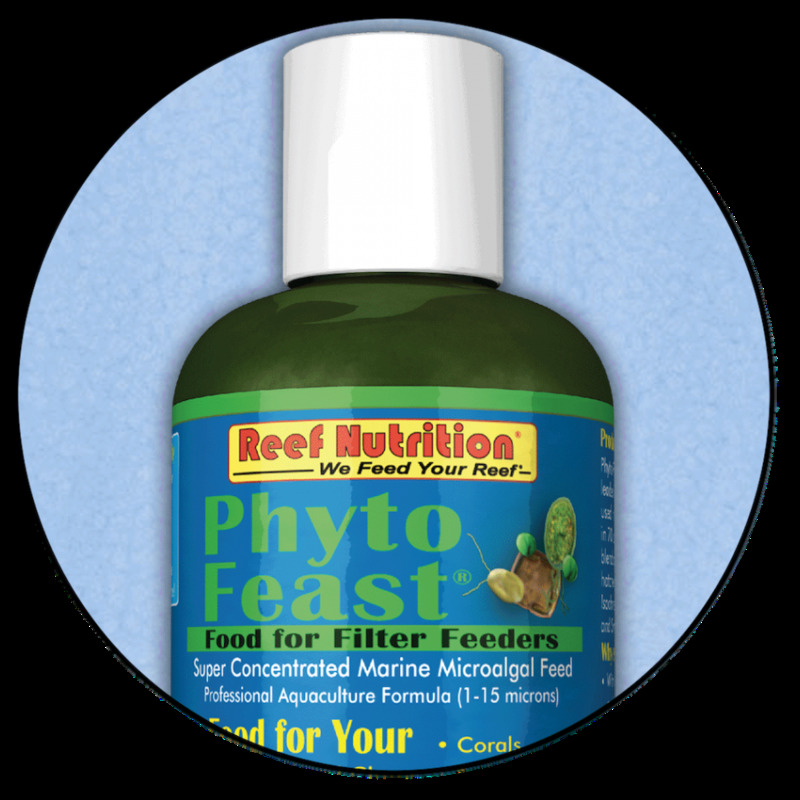 Phyto-Feast® is a blend of the most important marine microalgae, those chosen by universities and hatcheries for their superior nutritional value: Pavlova, Isochrysis, Thalassiosira weissflogii, Tetraselmis, Nannochloropsis, and Synechococcus. With six species in 5 classes, Phyto-Feast provides a diversity of Phyto-pigments, lipids, omega-3 fatty acids, amino acids, carbohydrates and cell sizes. Reed Mariculture's proprietary harvesting and stabilizing processes keep cells intact and insures that the maximum amount of nutrients get to your animals. Phyto-Feast contains whole and intact biological organisms in a media with benign food grade additives. No phosphates are added. After decades of research, hatcheries and universities around the world have come to agreement on the best algae for filter feeders. At the top of the list are Isochrysis, Tetraselmis, Pavlova and Nannochloropsis. While each provides certain benefits, none on their own can provide for a complete diet. Brown algae, in particular, are especially critical to your filter feeders because in addition to sterols and pigments they are the only algae that produce the fatty acid DHA (required for complete omega-3 nutrition). Phyto-Feast is the only live algae concentrate that contains 100% of the nutrition needed by your animals - proteins, carbohydrates, vitamins, and essential fatty acids. 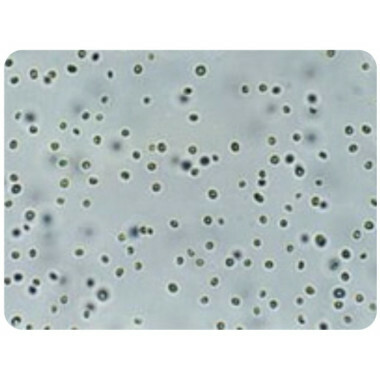 The best process for preserving the nutritional benefits of live algae for long term storage is to place the live microalgal cells in a state of suspended animation (also called quiescence or hibernation). This process reduces the metabolic activity of the live cells to minimal levels, allowing long term storage without the depletion of oxygen or the loss of nutritional value. All the microalgae that goes into Phyto-Feast are grown at Reed Mariculture and are harvested live and packed and shipped "farm fresh" every week. Once harvested, the algae are induced to become "quiescent". At the time of packaging, 95% or more of the algae are alive. In this quiescent state, metabolic activity and respiration are reduced to minimal levels, preserving the nutritional value of the algae and the integrity of the cell membranes. Since not all of the algae species are equally hardy, after a few weeks some of the more delicate cells will begin to expire. However, due to our quiescence process, the cells lose none of their functional qualities or nutritional value. Many of the cells will remain viable for several months. When properly stored, a bottle of Phyto-Feast will provide the same value after two-plus months that it did on the first day. Invert and/or shake the bottle a few times before opening it. 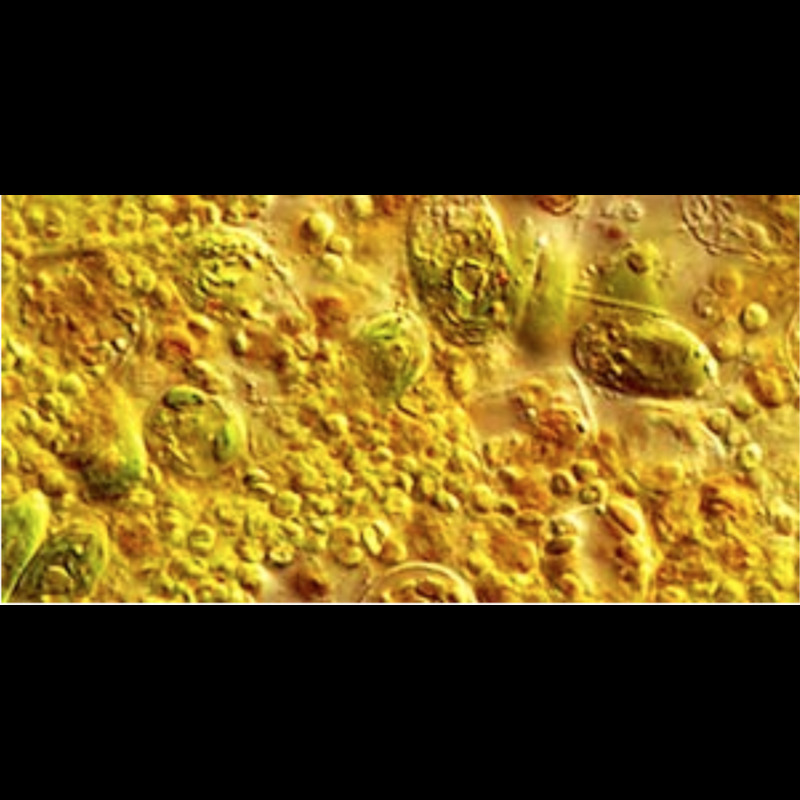 The larger algae cells such as Tetraselmis tend to settle to the bottom. 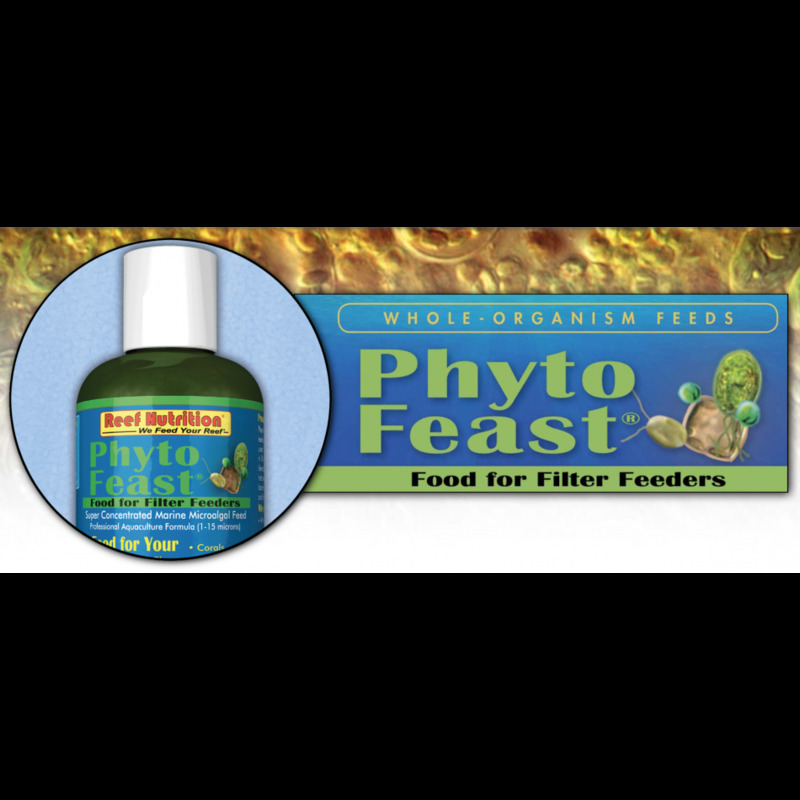 If you have not used Phyto-Feast before, start with 1 drop per gallon each day (1 teaspoon per 100 gallons) . Your animals will rapidly become accustomed to the phytoplankton (microalgae) and be able to feed on quite a bit more. If your animals do not "clear" the water in less than an hour - back off on the amount you are adding because your systems is not fully digesting all the microalgae. A common dosage for a mature system is 1-5 drops per gallon (1-5 teaspoons per 100 gallons) each day, depending on your tank setup and animal density. We recommend turning off your skimmer before adding the algae. Many customers have been successful by putting their skimmer on a vacation timer so it automatically turns back on later in the evening (2 hours is a good window). Phyto-Feast must be stored in your refrigerator. The best place to store algae is the bottom shelf because that is the coldest place in your refrigerator. The worst place to store it is the refrigerator door which may not be cold enough. Do not store Phyto-Feast in your freezer bcause freezing will break many of the algae cells. What are phytoplankton and why are they important in a Reef System? Phytoplankton are single cell microalgae that exist primarily in the water column. Microalgae is the beginning of the marine food chain and the primary source of essential nutrients for most reef filter feeders. Filter feeders that rely directly on phytoplankton include bivalves like clams, scallops, mussels, and oysters, as well as many corals, feather dusters, sponges, ascidians and zooplankton like rotifers and copepods. It was once thought that most reef animals do not require microalgae, however, we have learned in recent years that nearly all reef animals that can filter feed do rely on plankton for an essential portion of their diet. This is even true for animals that can use zoozanthellae and photosynthesis for nourishment. With hindsight this is obvious as zoozanthellae only contribute carbohydrates to the host animal, requiring the animal to look elsewhere for lipids, protein, vitamins and other nutrients. In nature filter feeders rely on a mix of diatoms, golden-brown, green, yellow-green, blue-green and red microalgae for a nutritionally complete diet. These life forms may look similar, but they are so ancient that they have incredible biological and nutritional diversity. Biologically speaking, there is vastly more difference between a green algae and a golden-brown flagellate than between dandelion and a fir tree. Will microalgae add phosphate and nitrate to my system? Yes - in very small amounts. There are no added phosphate and nitrates in Phyto-Feast, however these are critical components of all plants so it's impossible for any microalgae product not to contain some amount. If you have a refugium with some seaweed (Macro-Feast), the seaweed should help pull some of the P&N out of your system. If you experience elevated phosphates there are many products on the market to help lower them, such as Granular Ferric Oxide (GFO). Phyto-Feast will add much less phosphate and nitrate than algae you grow at home. The algae in Phyto-Feast is separated from the growing media during harvesting, so the only P&N is the small amount actually in the cells, not the media. Why is a complete Omega-3 fatty acid profile important? Omega-3 fatty acids (EPA, DHA, and ARA) are considered essential fatty acids, which means that they are essential to animal health but cannot be manufactured by animals. For this reason, Omega-3 fatty acids must be obtained from food. Omega-3 fatty acids can be found in fish and certain plant oils, especially marine microalgae. Also known as polyunsaturated fatty acids (PUFAs), Omega-3 and omega-6 fatty acids play a crucial role in brain function as well as normal growth and development. Different algae can be very different in their Omega-3 fatty acid content. Some, such as Chlorella, contain no EPA or DHA. So it is very important to feed your tank a mixture of carefully chosen algae species for complete and balanced nutrition. The algae in PhytoFeast were specially selected to provide high levels of EPA, DHA and ARA. Will Phyto-Feast decompose and foul my system? No. Phyto-Feast cells are intact and not broken so bacteria cannot quickly break them down and cause them to decompose. Do I need to worry about bacteria or algae blooms if I use Phyto-Feast? Typically No. Bacterial blooms are typically caused by significant amount of uneaten biomass remained in your system for several days due to overfeeding. Please adhere to the feeding instructions on the bottle to minimize the likelihood of this happening. 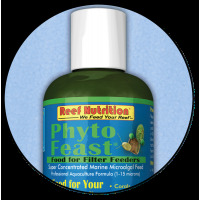 When first using Phyto-Feast, we recommend you begin at the lowest recommended level and increase as your tank becomes accustomed to the new feed. Your protein skimmer will likely remove any excess Phyto-Feast from your system. Which of my animals will feed on Phyto-Feast products? Some soft corals, sponges, tunicates, gorgonians, sea fans, Basket and Feather Stars, Clams, Mussels, Barnacles, Feather Dusters and Tridachnid clams. 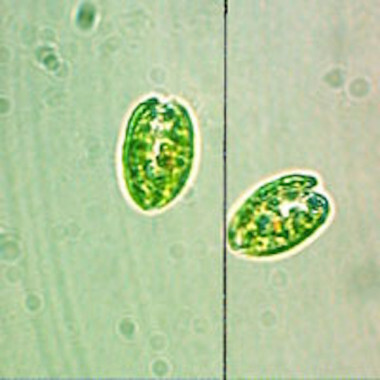 Tetraselmis is a large green flagellate with a very high lipid level. It also contains natural amino acids that stimulate feeding in marine animals. It is an excellent feed for larval shrimp.Applications: Finfish Hatcheries: Used in conjunction with Nannochloropsis for producing rotifers. It is also a good size for feeding brine shrimp. We are specialists in supplying aquaculture products. Based on our experience in breeding and supplying seahorses we have developed and sourced a wide range of feeds, treatments and equipment suitable for both professional and hobby breeders alike. Copyright © Marines by post. All rights reserved.